Canned string beans. Pickles. Recipes from Russia. Description: can be delicious appetizer. 1. Combine sugar, salt, water and add string beans. Boil for 10 minutes. 2. 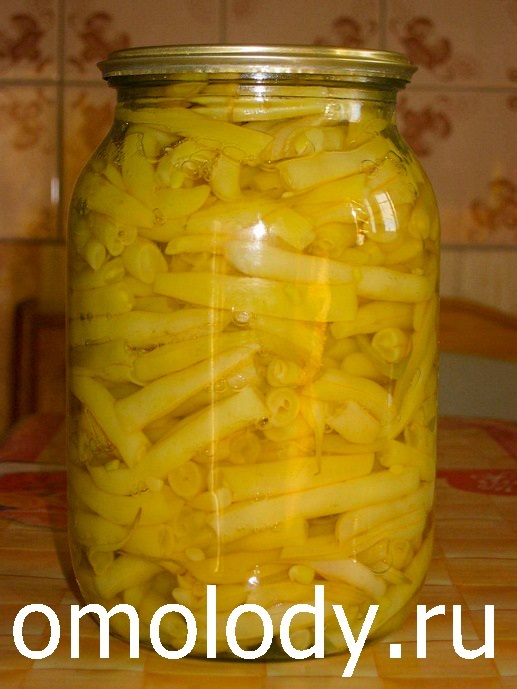 Pack hot string beans into hot sterilized jars. 3. Pour hot brine over string beans. Adjust caps. Process for 10 - 15 minutes in boiling water bath.